I really enjoyed the process of the Genius Hour in spite of taking two classes at the same time. I thought I would be totally overwhelmed and was very nervous about spending two hours a week dedicated to a Genius Hour project. I did not expect to read any books during the two months of the classes, yet had the opportunity to read three books, The Life-Changing Magic of Tidying Up by Marie Kondo, Outer Order, Inner Calm by Gretchen Rubin, and The Minimalists by Joshua Fields Millburn and Ryan Nicodemus, all related to tidying up. Since I enjoy reading, this was a welcome break from other classwork and responsibilities. Gathering information about tidying up from different sources was very helpful, because while most of Marie Kondo's advice made sense, the idea of getting rid of everything that does not "spark joy" was overwhelming and concerning in that we have lots of items that don't "spark joy" in me but are necessary for life with kids like sippy cups, certain toys, and potty seats. The three questions Gretchen Rubin posed helped me overcome this conundrum. She asked "Do I need it? Do I love it? Do I use it?" The "do I use it?" helps put my mind at ease over the items that we do use but that don't necessarily "spark joy" in me or other family members. I also liked that all three books mentioned that there is no one recipe for tidying that works for everyone and that you have to find strategies that work best for you. The biggest takeaways for me with this project were personally, overcoming obstacles, and as a group, seeing the wide variety of topics and ways that students can share their learning. I struggled mid-project when I tore the meniscus in my left knee and had to figure out how to adapt my project due to my more limited mobility. I had read two books at that point and The Minimalists had been recommended to me. So I read that book, watched an episode of Tidying Up With Marie Kondo, and focused on tidying up digitally. I cleaned out the apps on my phone and organized more apps into folders. I also started cleaning out emails, both personally and professionally. Then I tackled small cleaning projects in areas I see everyday like my dresser, bathroom counter, and kitchen window sill. I really enjoyed seeing the variety of topics my classmates chose and the different tools and formats they used to share their projects. It's a great reminder of how we as educators can provide structure but still allow students the opportunity to be creative and share their interests. The biggest challenge I ran into with doing a Genius Hour project with the three technology classes I taught first quarter were the internet filters at school since some students were not able to do the project they wanted like wrestling because so much of the information and pictures were restricted. I think my experience overcoming my own obstacles and being willing to take my project in a different direction would benefit my students because I could share that flexibility and work through the problem with the students. Kondō, M. (2015). The life-changing magic of tidying up: The Japanese art of decluttering and organizing: Summary and analysis. CreateSpace Independent Publishing Platform. Millburn, J. F., & Nicodemus, R. (2017). Minimalism: Live a meaningful life. Hachette Australia. Rubin, G. (2019). Outer Order, Inner Calm. Harmony Crown. The second artifact I chose for this class is the partner work we completed for writing modern day interview questions and responding to the questions our partner wrote. It was so interesting to think back to the very traditional questions I was asked six years ago when I joined my current district and how different the focus now is in education with so many districts being 1:1 and the instant access to so much information. Today we need to teach students how to be good digital citizens and how to analyze the information they are inundated with on a daily basis. We must also take advantage of our interconnectedness to share perspectives and understand how decisions can impact people and the environment in so many ways. An emphasis must also be placed on the willingness of the teacher to constantly reflect and adapt to meet the ever changing needs of our students including the ability to communicate effectively and collaborate with others. The ability to think creatively and challenge students to share their voice are underrated skills in this dynamic world of education. It was a fun challenge to create meaningful interview questions and respond to other very thoughtful and engaging questions that target the effective use of technology as an educational tool. What other questions would you ask when interviewing teachers for your district? 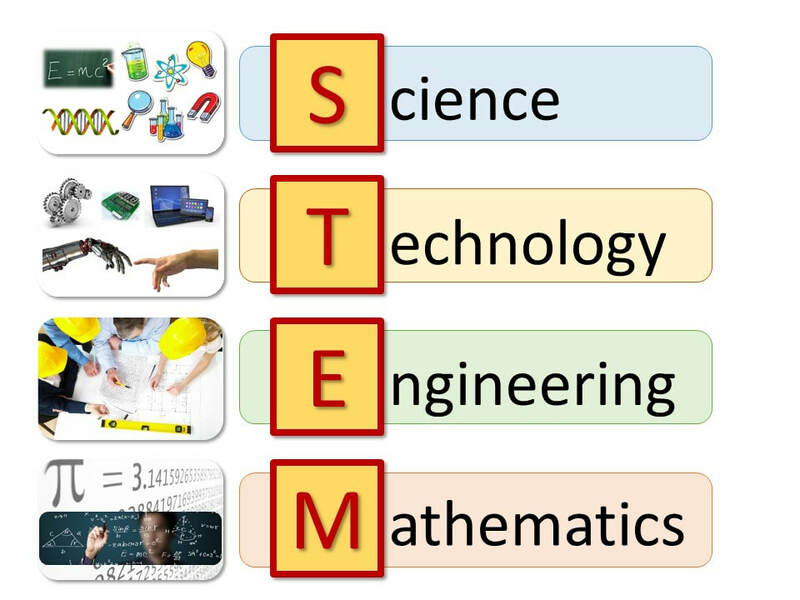 I was so excited when I saw we'd be creating a unit for this class because I had the idea at the ICE Conference to have our current students create ideas for how to design our new STEM classroom for next year but had no idea how I was going to structure the assignment. The unit plan template gave me the framework to better organize the disjointed ideas I started with. This is especially helpful because I won't actually be teaching the unit myself but will have our Innovative Design teachers facilitate the unit with their students. I will make sure, as the Technology Coach though, that I can go into their classes if needed and be added as a co-teacher on their Google Classrooms so I can address questions as they arise. I set up my unit using Google Classroom so I can add the teachers as co-teachers to my "Designing a STEM Classroom" class and then the teachers will be able to "Reuse post" so they can easily share the materials and assignments while simply adjusting the due dates and "Make a copy for each student." This is also my first time trying out a single point rubric because many students are overwhelmed by the amount of text on a regular rubric and therefore don't read through the rubric. I think the feedback on a single point rubric may be simpler for the students to understand too because they can clearly see how they exceeded the expectations through examples and what areas they can improve on with specific feedback of how the assignment can be improved. I can't wait to see what designs the students come up with and what the STEM classroom looks like next year! 680 Module 7 - How can and should schools use social media? In my role as an Instructional Technology Coach, I use Twitter to communicate some of the great lessons I see happening in our middle school and sharing ideas and articles that I think may be useful to my staff. The district has had a focus on a Twitter campaign this year and introduced our three district hashtags: D124Achieve, D124Inspire, and D124Empower. I think this has been a great way to communicate more with parents and the community so they can get a window into the middle school where we don’t have as many parents involved. I love how easy it is to share through Twitter the innovative ideas, the passion, and enthusiasm of other educators which has been lacking in our middle school. I really haven’t received any feedback besides from the teachers a little bit. Most of the teachers who say anything to me about Twitter always start with, I should post more on Twitter but… Since we don’t really have guidelines of the purpose or vision we are trying to build with Twitter, it’s hard for teachers to feel like they have a handle on how they are supposed to use Twitter. Our school’s policy on inappropriate technology use is very vague. “Misuse of District accounts whether on or off-campus, during or outside of the school day, may result in the loss of technology privileges, disciplinary action and/or legal action in the event of intentional damage and/or violation of policies or law.” Right now we are currently focused on updating the policy related to sharing information with parents about being COPPA and FERPA compliant rather than putting procedures in place for how inappropriate usage will be addressed. I love the idea of having students take a look at our technology policy and think about what specific changes they would make. I feel like giving the students this opportunity would put a very specific focus on ideas like cyberbullying since so many students have been affected by cyberbullying. I’m working on the curricula for our 21st Century Skills Classes and would like to add this opportunity so they can become familiar with our current expectations and come up with their own ideas of what should be included in this policy. In the six years I’ve been working in this district, the teachers have never been trained at all about cyberbullying which is a shame in this day and age. This is an area that training would certainly benefit our staff particularly at the middle school. The Cyberbullying article by Education Partnerships, Inc. included a lot of valuable information and advice about cyberbullying. I think it is important that our district look at cyberbullying and set-up a protocol with how to respond. We do have a link on our website where bullying, in person or cyberbullying, can be reported anonymously to give students and parents a safe space to report any issues. I think it’s very important that teachers understand what cyberbullying is and how students may respond so they can make their students feel safe in confiding to the teacher about any issues going on. I also think that training the students on how to respond if they are cyberbullied is important since their response is what can most easily either encourage the bully to continue or the bully give up if his/her efforts are not being reacted to in the way they are hoping. For this class I really enjoyed the opportunity to create a Professional Development Agenda for a half day institute like we have four times throughout the school year. In my first year as an Instructional Technology Coach I was anticipating more opportunities to help plan and implement professional development for the staff in my district but have not been given any opportunities to do that on a large scale. I have been able to help plan a full day training with the elementary technology teachers and another day with the middle school 21st Century Skills teachers which was centered around the new robotics we got this year with a grant. Otherwise, I have only had the opportunity to help teachers who reach out to me on an individual basis. I am excited to have a plan for how I would implement a day of professional development so as we begin planning for next year, I have some ideas ready to go that I can present to our curriculum director. We are already talking about using half of one of our Institute Days at the beginning of the school year to do a Technology Showcase where different teachers and the coaches will present sessions that the teachers can decide which sessions they want to attend. I like this idea because it gives the teachers a choice of topics to learn about that they feel is relevant and will therefore be more likely to incorporate these strategies into their teaching. The first artifact from this class that I am excited to share is my Elevator Pitch for my Genius Hour project. While it took me awhile to decide on a Genius Hour project, I am so glad that I chose to learn more about tidying up. The cluttered condition of our house has become more and more anxiety producing for me over the last year and I feel like I can never sit down and relax because I'm always starring at a pile of papers, books, junk, toys, etc. I think any other topic that I would have decided to pursue as my Genius Hour project would have been overwhelming on top of the two classes I am taking in addition to everyday life as a mom, wife, and instructional technology coach. The main focus of this project for me was reading about different tidying methods and then starting the process of tidying up my home. Many times when I have felt stressed over the last couple of weeks I have decided to tackle a small mess in our house which left me feeling more at ease and able to focus on the next task at hand. My Elevator Pitch was meaningful to me because I've been wanting to try out Adobe Spark since the beginning of the school year when I found out we had a district subscription but had never found the time to experiment with it myself. This project gave me the perfect opportunity to try it out and find out how very simple Adobe Spark makes it to create a professional looking video. I really like how easy it was to input information, set the timing, and then turn the slides into a video. The next feature I would like to try out is recording my voice in explaining some of the information but didn't for this project since my kids were awake and I didn't want them in the background of the audio. This Genius Hour project reminds me how important it is to build in opportunities for our students to learn about topics they are interested in so they can be more focused and engaged in their other learning as well. As I've worked through this Genius Hour project for the last five weeks or so, I have noticed that I am more motivated to work on tidying up my house when I have been reading books like Marie Kondo's The Magic of Tidying Up and Gretchen Rubin's Outer Order, Inner Calm. Certain areas of the house pop into my mind as I read the different strategies and it gives me practical ways to help me decide what to get rid of and suggestions of how I can tidy and better organize those areas. Even though I've taken time to organize things digitally this week, like starting to clean out my email and getting the apps on my phone reduced from seven crammed pages to four pages that have some extra space on them, I don't think about my Genius Hour project nearly as much as I did when I was reading related sources. I have not worked with any audio components during this project. I do intend to watch some of the Netflix series, Tidying Up with Marie Kondo, but haven't yet. I'm more inclined to pick up a book than turn on the television. I absolutely love reading but rarely make the time for it so I'm not surprised that has been an effective means of learning for me. The other component leading to my success is when I have longer chunks of time that I can devote to sifting through items and tidying up certain areas of the house. The digital tasks have been nice in that I don't need as much time to make progress as I do when actually cleaning up parts of the house. Before a room gets cleaner, it gets messier and I can't leave a project like that halfway done with my 3 and 6 year old boys around. The only things that have really frustrated me during this project are not having as much time as I'd like to spend getting the house tidied up quickly and having my mobility limited since tearing the meniscus in my knee. I have been enjoying the project otherwise and plan to continue with it even after this class is over. This week I finished reading The Life-Changing Magic of Tidying Up by Marie Kondo and have been inspired to continue tidying. Although the KonMari method suggests starting in your own space like your bedroom first, I tackled our kitchen window sill and junk drawer this weekend because I see the clutter multiple times a day on the window sill and can only open the drawer to get scissors out about half of the time. My reason for choosing to study the KonMari and other tidying up methods is to reduce the clutter which weighs on my mind constantly when I am at home and to free up time from cleaning things up to actually do the things I enjoy like spending quality time with my family, reading, cross stitching, and taking pictures. I know now that the key to the KonMari method is to discard and then arrange the items that "spark joy" in your life so that each item has a specific home. This makes it very easy to maintain the tidiness if you return each item you use to its home when you are finished using it. The trick will be finding a home for many of our toys and teaching my boys to put things in their homes. I just started reading Outer Order, Inner Calm by Gretchen Rubin and am curious to see how similar the ideas are and if there are certain ones that fit my house and lifestyle better than others. Take a look at my progress and stay tuned in the weeks ahead. After almost a week into my Genius Hour project of learning more about and practicing the KonMari method of tidying up our house, I am about 100 pages into the book, The Life-Changing Magic of Tidying Up by Marie Kondo. I have been reading about 20 pages a day by consciously choosing to pick up the book at times that I would generally spend scrolling through social media on my phone. I have done some of the reading while eating breakfast at the table in the morning or curled up on the couch in the evening. I actually love reading but usually feel like I don't have enough time to fit it into my day. Now I know I have the time to read if I am intentional in my planning. 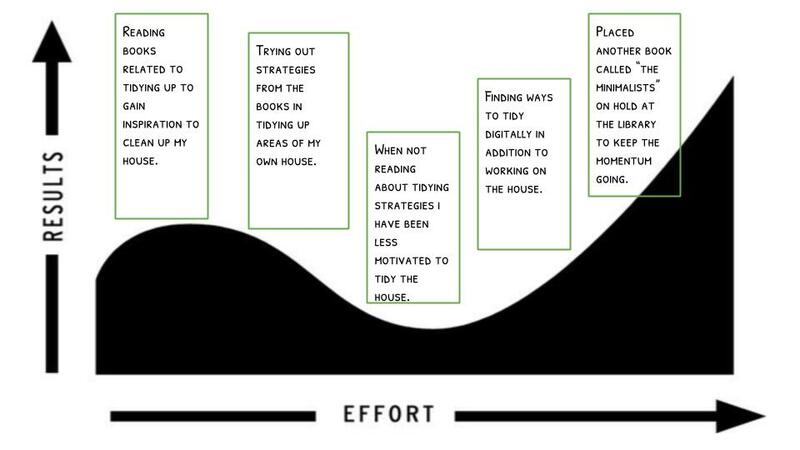 1) to delve deeply into why you want to tidy your house so you can meet that objective. 2) the process of tidying should take less than six months so you can appreciate the life altering effects. 3) to tidy by category and not by location. 4) hold every item and then discard everything that does not "spark joy." 5) tidy in the correct order: clothes, books, papers, miscellany, and things with sentimental value. Before I got to the part about the order tidying should occur in, I decided to start with my junk drawer in my night stand which is pictured above. I emptied the drawer and was able to throw away some items, decide to donate several other items, and then I sorted what was left into categories. I moved some things to more appropriate spots like the bathroom or downstairs. I made a stack of papers and cards that I know I will be adding to as I clean out other areas. I didn't discard any papers yet other than obvious outdated papers that could be recycled or shred without any thought. I also found some jewelry that I forgot about that I put with my other jewelry so I can go through all of it at one time. Although I didn't make a ton of progress, it felt good to begin the process. It's been a stressful couple of weeks for me so it feels good to start taking control of this aspect of my life. My name is Katie Dunneback and I am the Instructional Technology Coach for Evergreen Park Elementary School District 124. I taught Social Studies at Central Middle School in Evergreen Park for five years and am looking forward to working with my colleagues in a different capacity this year. Prior to teaching middle school, I taught Social Studies at the high school level for seven years. I've had a 1:1 Chromebook classroom for the last four years and love trying out new applications and strategies with my students. 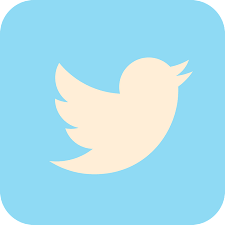 I have also used Twitter to create my Personal Learning Network (PLN) where I get so many fantastic ideas. Follow me @MrsDunneback. I have two boys, so when I'm not chasing them around, I enjoy reading, gardening, scrapbooking and other crafts, yoga, photography and being outdoors.